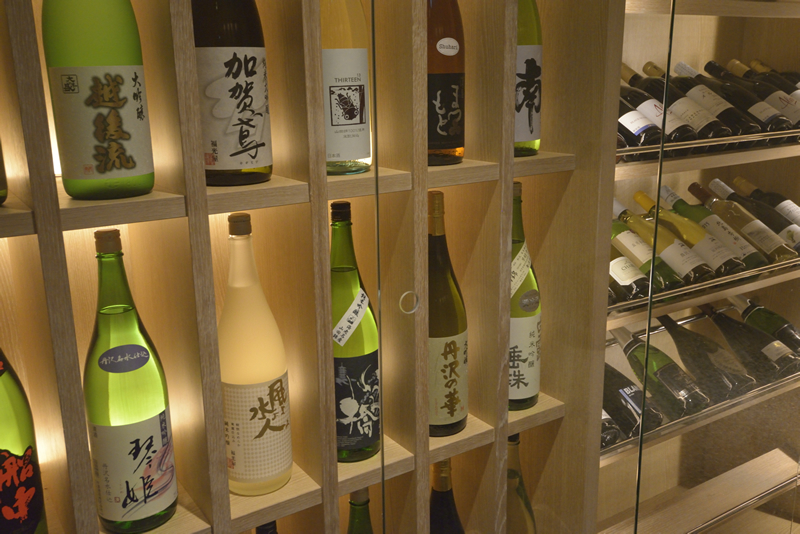 The Japanese sake and wines we recommend comprise a perfect selection to complement the cuisine. In terms of our Japanese sake, great care is taken in selecting the perfect rice from all around the country focusing on the local Kanagawa prefecture, and the chief brewer takes great care with diligence to carefully create the sake including the distillery. Any of flavors that conflict with the essence of the dashi or ingredients or any strong aromas are avoided, instead focusing on dry ginjo and daiginjo sakes with low bitterness, a clean finish. 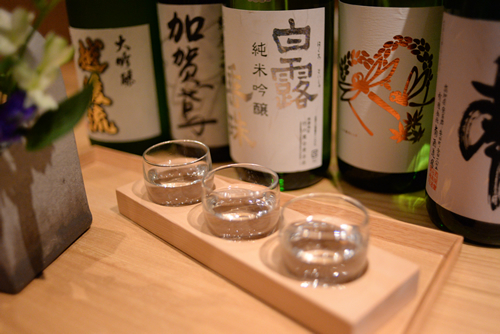 Furthermore, we keep an eye to limited runs of sake as the seasons pass to carefully select slightly carbonated types which are popular with women, nigori or cloudy sake, and fruit liquors made with sake. In recent years Japanese domestic wineries have made remarkable progress in production control techniques. 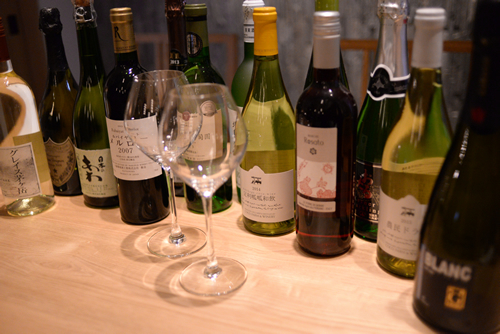 Byakudan's wine selection focuses on such as domestic wines, especially emphasizing white wines which go well with KAISEKI Cuisine. The flavor of wine brewed in oak barrels can mask the dashi flavors of KAISEKI Cuisine, so we select wines brewed in stainless steel only. 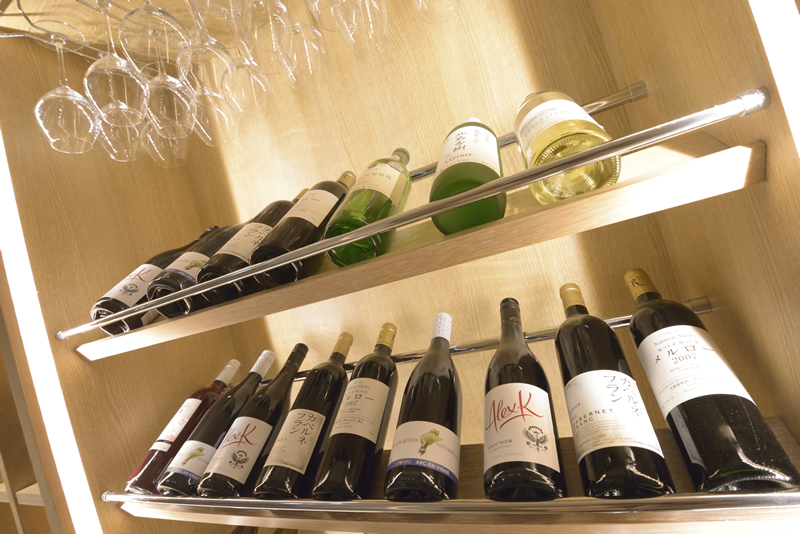 Our selection focuses on grapes of the chardonnay, Koshu, Sauvignon varieties with high clarity. The combination of clarity and a clean finish create the perfect marriage with KAISEKI Cuisine which we look forward to you enjoying. We also have mainly domestic red wines which are not heavy and with good balances of mouth feel and acidity which go well with KAISEKI Cuisine, so please enjoy those as well. Drinking champagne or sparkling wine with minerality and delicacy gives a completely different experience combined with KAISEKI Cuisine compared to Japanese sake. We at Byakudan offer a selection of high quality vintage sparkling wines with a focus on Blanc de Blanc brewed with only single varieties of grapes and combining a minerality and delicacy. The combination of a 100% chardonnay Blanc de Blanc with KAISEKI Cuisine is exceptional. Not only as an aperitif but also to drink with your meal, we recommend selecting champagne and enjoying its affinity with KAISEKI Cuisine. 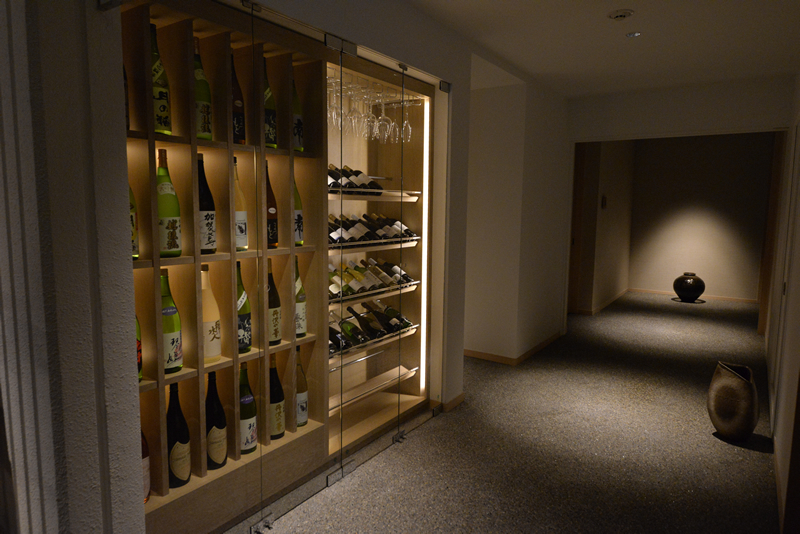 We also offer a careful selection of beers, shochu, umeshu(plum liqueur), liqueurs, domestic whiskeys and other alcohols which complement KAISEKI Cuisine, as well as non-alcoholic wines, sparkling wines, royal blue tea, 100% fruit juices, local ciders, a variety of soft drinks, and other non-alcoholic drinks.